1066 Budapest VI., Zichy Jenő u. 14. 1368 Budapest 5. Pf. 251. The ongoing criminal case against Miklós Hagyó and defendents charged for the damages particularly of a malpractice felony and other offenses. From the date of arrest 2010 February 3., from 2010 February 5 until 2010 June 25, Miklós H. was in a pre-trial detention, since then has been released. Miklós Hagyó I. accused was the parliamentary and City Council representative between the 2006-2010 election cycle, who has been elected as deputy mayor in 2006 December 16. by the Municipal Assembly, in which capacity the capital's public transport supervision also exercised its competence. Ernő M. II. accused was a supporter of the political and personal confidante, from 2004 his main political advisor of Dr. Gábor Demszky former Mayor of Budapest. Attila A. III. accused - on the proposal of Miklós Hagyó I. accused - between 2007 January 1.-2008 January 1. was the CEO of capital owned BKV, Budapest, Headquarters VII. District Akácfa street 15-17. Zsolt József B. IV. accused worked for BKV Co. held various senior management positions since 2007 April, then in 2008 Septemer became the Chief Technical Officer, as well as after the departure of III. accused Attila A., between 2008 February 8.- 2008 August 31. was the appointed CEO of BKV. Attila A. III. accused and Zsolt József B. IV. accused as the CEO of BKV had filled a job position, in regards to asset management of BKV. Ottó Viktor L. V. accused - was the PR and communication assistant in previous election campaigns of Miklós H. I. accused, and then from 2007 January became the communication consultant of the Deputy Major's cabinet. Éva M-H. VI. accused from 2007 February 1. was employed as press officer at the BKV Co. DBR Metro department, then between 2008 February 10-2009 August, along with Miklós H. I. accused, with the mandate of the Deputy Mayor's Cabinet was the PR consultant. While retaining her main job, she carried out her work at the Town Hall, held connection to BKV Co. to verify the company's communication to meet the political interests of Miklós Hagyó I. accused. Miklós Jenő R. VIII. accused worked as the communications director of BKV Co. from 2007 January 7., then from 2007 August, he became the Deputy CEO of Communication and Sales. Tibor Tamás Z. IX. accused was the director of the Cabinet Board's press office from 2007 February. Then from 2007 August the Head of the Communication Department, and then from 2008 July became the Head of the PR Division. Ágnes V. X. accused has worked at BKV Co. since 1994, from 2004 the Head of Marketing Department. Miklós Jenő R. VIII. accused, Tibor Tamás IX. accused and Ágnes V. X. accused in these positions could have binding commitments on behalf of BKV Co., in which their obligation is in regards of asset management of BKV. László József Sz. XI. accused has worked at BKV Co. since 1987, from 2004 Cabinet Director, from 2007 August the Head of the Corporate Development Division, then as the strategic and organizational director. Dr. Eleonóra Sz. XIV. accused has worket at BKV Co. since 1972, from 2005 as the Director of Human Affairs. The actions described in this indictment period- the year 2007 and 2008- BKV Co was a company over $100 billion in debts anually, and each fiscal year closed a significant operating loss (during the 2007 the net profit was HUF 16.8 billion, in 2008. It recorded a net income shoing a loss of HUF 5.7 billion). The transport company's activity of a company's own operating costs were not covered, to keep it running every year only by the over 32 billion normative support, and by the more than 17 billion government price subsidies was it possible, and without these subsidies BKV would have collapsed. BKV Co. even with these supports were with great difficulty, and a minimum acceptance level was able to perform basic tasks. Such financial and economic situations has been described in a series of transactions to be concluded, which BKV's financial position, economic prospects for the core business, failed to improve the quality of services at any level, even if the charge is the subject of a contract by the contracting parties to perform services they wanted. All contracts defining characteristic was that they did not conclude the BKV economic interests in mind, but the defendants and acquaintances, friendships were made for reasons of their income allowance. In exercising ownership rights over BKV Metropolitan Local Government- Miklós Hagyó I. accused was holding position as the Deputy Mayor, as well as in its Cabitet working with an agency contract Ottó Viktor L. V. accused and Éva M-H. VI. accused, their own or acquaintances of their own financial and economic interests of unlawful promotion between 2007-2009 directly, or accomplices in collaboration with BKV asset management powers to executive officers that were given instructions, and influenced their decisions in a way that they are obliged to trust to a deliberate breach of fiduciary BKV disadvantaged choices and negotiate contracts. Although Miklós Hagyó I. accused of BKV operations management in theory does not have the power, so the leaders of BKV’s specific cases could been ordered, and his function at the Metropolitan Local Government, his political role, due to the weight of the leaders of BKV in the absence of statutory authorization were accepted from or on behalf of him, the daily functioning of BKV instructions. Miklós Hagyó I. accused activities related to Ernő M. II. accused, who is the official organization of the Municipality still did not have a formal position, and he had no basis for any legal action. It was well-known that he acts as the political adviser of the Mayor of Budapest, therefore, no one doubted, that in the matter of BKV Co. his expressed wishes shall be construed as the Mayor's instructions. The relevant leaders of BKV- Attila A. III. accused, Miklós Jenő R. VIII. accused, Zsolt József B. VI. accused, Tibor Tamás Z. XI. accused and Ágnes V. X. accused accepted and fulfilled instructions when it was clear to them, that they are not at the interest of BKV or the capital, but - directly or indirectly - only served the interests of employers and the instruction are clearly detrimental to the BKV Co. The Metropolitan Municipality owner's exercise its supervisory relationship over BKV, and BKV within the corporate organization under the hierarchical relationships, has the political balance of power and influence based on a coordinated manner. The operating organization has been built up, composed of members from the overhead of the BKV and adversely affecting the financial position of instructions executed without protest, and the implementation of their subordinates in order to take into account. Founder and undisputed leader of the criminal organization was Miklós Hagyó I. accused former urban management and assets management Deputy Mayor, who from his post due to the influence of being abusive, instructions for adding each offender participated in acts, in addition - the example of his own - an environment developed in which confidential employees Ottó Viktor L. V. accused, Éva M-h. VI. accused and Cabinet of the other members remained unknown, and personal attorney Dr. Iván Miklós H. VII. accused, without the direct involvement of Miklós Hagyó I. accused represented by the interest in the decisions, gave orders, and those to convey to the leaders of BKV. Miklós H. I. accused had similar influence on Ernő M II. accused, who is the representative of the Mayor, the mayor circles of friends based on economic interests that were mediated - in the form of instruction - to the prevailing CEO of BKV Co. The instructions at BKV Co. were communicated to Attila A. III. accused, Zsolt József B. IV. accused or Miklós Jenő R.VIII. accused, who have taken action to implement them: or themselves have taken the necessary steps or in the company's system. Miklós Jenő R.VIII. accused subaltern Tibor Tamás Z. IX. accused and Ágnes V. X. accused were instructed, and at the interest of the criminal organization have implemented the instructions. Ottó Viktor L. V. accused and Éva M-H. VI. accused as well as Attila A. III. accused and Miklós Jenő R.VIII. accused - taking advantage of their role in the criminal organization - occasionally, by their own choice, recognized higher interest or personal interest and was noticed by the BKV Co. financial transactions that caused their own misfortunate damage. The criminal organization existed in this form 2007 January to 2008 August until Dr. István Kocsis enters his office as CEO. The criminal organization existed in this form 2007 January to 2008 August until Dr. István Kocsis enters his office as CEO. During this operation it caused over 1.49 billion financial loss for BKV Co.
Miklós Hagyó I. accused has considered the munincipal-owned BKV Co., that "as paying" for his personal and political nature of the expenditure, which from the parliamentary or the municipality budget, he wouldn't have the right to finance. As later detailed in contracts which are mainly difficult to control, performance of the devices can not be measured objectively in terms of communications, embraced by marketing, advertising and consulting which are typical of a political conclusion, friendship, or economic favors and the rational management of each contract and the utility for BKV that ignored aspects which have been created. The BKV Budapest public transport company is a monopolistic company, its services known to the target audience, in the field of services that the capital's public transport users have no choice, and BKV Co. has no competitors. In light of this, the company in general is popular, and promotion of the services of the company made ​​no substantial benefit. For this reason the expenditure was completely unnecessary. This conclusion of contracts were redundant, because BKV within its own organization, possessed a time-varying organizational system - with Communications and Marketing Department, which is approx. 30 to 80 employees in increasing numbers, and a significant, annual budget of $ 100 million, subject to the order of tasks described in a separate agreement that could have been performed. Of the contracts that are concluded of the accused - since it was an effective organizational and operational procedure, except for the CEO, is to conclude contracts of two managerial signatures that were required - frequently used as a signatory involvment of such leading colleagues, who did not participate in the crime, and that they had no knowledge of it. For Attila A. III. accused, Zsolt József B. IV. accused and Miklós Jenő R. VIII. accused, almost on a daily basis were required to appear at the Mayor's Office the Cabinet of Miklós H. I. accused, where the conduct of business in accordance with the questions beyond the topic of contracting and other matters as requested in the instructions received or made them accountable of their implementation. Of the vast majority of contracts that are substantive, Miklós Jenő R. VIII. accused fell within the sphere of competence, who had previously worked with and had a good personal connection with the BKV Co. and fictitiously working with Éva M-H. VI. accused, so mainly she recieved the instructions, which are usually transmitted to Attila A. III. accused and Zsolt József B. IV. accused. Of the Miklós Jenő R. VIII. accused subordinates, Tibor Tamás Z. IX. accused communications director and then head of department and Ágnes V. X. accused were aware that the instruction entered into contracts were part of the work that was not done, or PR, marketing activities in other parts, studies, surveys and consultations for the BKV are useless, were unnecessary, so that the outputs of formal verification on their part consisted of signing certificates. Of the conclusion of contracts and the certificate of completion of the accused that benefited from others - involvement of managers - who were not participating in crimes, were not aware of it. 1) Beside the former Deputy Mayor of the Local Government Municipal Miklós Hagyó I.
have been carried out by the staff of BKV. Tale tram of 3,361,000, - HUF + VAT fee, complete the design and construction of objects. December day total of 12,229,800, - HUF which was paid for unnecessary services. instruction which remained contracted with Well Kft. was paid to him buti t was detected he did not work. once again concluded, but this time on behalf of BKV the signing person was Attila A. III. January 21. were held on 13 occasions, because 3 time transfers were not successful. for carrying out the subject of 2.000.000, - HUF + VAT namely 2,400,000, - HUF fee. place on the same day. v. Attila A. III. accused with WELL Advertising and PR Agency Ltd. in 2007 September 24.
of BKV Co.. The service fee 1,562,000, -HUF + VAT was determined. HUF, was based on invoice flow number 300707 in 2007, December 27.
burdened the budget deficit of BKV Co.
2007 January 3. no. 00274/2007., 2007 February 1. no. 00290/2007., 2007 March 1. no. 00314/2007. and 2007 March 26. no. 00317/2007. payment of invoices authorized by Ágnes V.
by other managers which can not be ascertained. range towards companies of municipality-government. behalf of BKV, CEO Attila A. III. accused concluded a utilization agreement no. 162/245/2007. Miklós Jenő R. VIII. accused and Tibor Tamás Z. IX. accused. well as the comments stated that the payment was held at the request of Miklós Jenő R. VIII. accused in 2007, December 18, as evidenced by a transfer certificate. concluded in 2008 September 10. for an indefinite period with Pont Ez Ltd.
György T. director and co-owner of Kacu Ltd. was the parliamentary secretary of Miklós H. I.
and analysis of state aid were carried out on the suburban tramway traffic for Miklós H. I.
accused. In recognition of the work done, Ottó Viktor L. V. accused ordered Miklós Jenő R. VIII. November and has been his full-time job. April 20 no. 2007/00347, 2007, July 27 no. 2007/00598 and the 2007, November 23 no. by CEO Attila A. III. accused, who also was aware of this fictitious nature of the contract. enter into contracts with Relatív Advertising Agency in reference to their range of interests. dated 2007, October 27 was confirmed by signing the compliance sheet by Ágnes V. X. accused. value and unnecessarily ordered service did not happen. 14,850,000, - HUF was paid. iii. For the proposal of Miklós Jenő R. VIII. accused, CEO Attila A. III. accused in 2007 October 1. 2008, February 4., 2008, March 3. and 2008, April 7. - a total of 9,120,000, - HUF was paid. iv. For the proposal of Ágnes V. X. accused manager of marketing department and Miklós Jenő R.
contract of actual work did not happen, and caused a financial loss of the total 1,192,800, - HUF. Ágnes V. X. accused , and the payment of unnecessary service happened in 2008 August 11.
the invoice dated in 2007, January 7. a total of 532, 800 HUF has been paid out in 2009 March 9. To the instruction of Miklós Jenő R. VIII. accused and Ottó Viktor L. V. accused - without a tender - the scope of activities which do not affect BKV, thus unnecessary for the provision of advertising services - in fact an implicit support - concluded a contract with Honeymood Ltd. This is because the underlying aim was that with the ordered film won the support and goodwill of the director's father István Verebes for the company's managers for the prepared riport at the Napkelte (Sunrise) morning TV show. In response to instructions of Miklós Jenő R. VIII. accused, Ottó Viktor L. V. accused - on behalf of BKV acting jointly with head of communication department, Tibor Tamás Z. IX. accused - concluded an agreement in 2007, August 31. with Honeymood Ltd. under the management of András Tóth for the making of feature film titled "1" and its material. In return Honeymood Ltd. for the premiere of the film will hand 20 complimentary tickets to BKV and advertising BKV on their press materials. For the loss-making BKV, this unnecessary service fulfilment of the instruction of Miklós Jenő R. VIII. accused, Tibor Tamás Z. IX. accused confirmed and approved the pay out of invoice no. 0876476 for Honeymood Ltd. Based on this authorization, BKV Account Department in 2007, October wired 3.600.000 - HUF to Honeymood Ltd. to the detriment of BKV causing financial loss of this amount. Dr. Gábor Csapó was related to professional sports and also had a personal relation with Miklós H. I.accused as well as with Ottó Viktor L. V. accused, and would have liked support for his water polo school. The municipal companies for sponsorship was banned, so Ottó Viktor L. V. accused called Miklós Jenő R. VIII. accused to resolve the suppotr with some kind of advertising contract. Miklós Jenő R. VIII. accused complying with this, persuaded CEO Attila A. III. accused in 2007, November 26. to conclude a contract with Csapó LP. with a hid business - actually as a support - with advertising media instruments to provide advertising space. The unnecessary and unjustified fulfillment for BKV Co., Tibor Tamás Z. IX. accused has been certified and authorized the payment of no. 263929, no. 263924 and no. 263915 invoices to Csapó LP. Under the authorization of BKV Account Department, between the dates of 2008, April 2nd and December 20th, a total of 2,850,000, - HUF has been transferred to Csapó LP. with F.F.V.D. LP. for the 2007, May 27. Children's day central event retention in Budapest, V.
fulfilment has been confirmed by Ágnes V. X. accused, and no. 0635293 invoice of F.F.V.D. LP. has been paid. The Account Department of BKV of the written permission of Miklós Jenő R.
VIII. accused, in 2007, June 5th transferred 10.780.000,- HUF to F.F.V.D. LP. between 2007, September 3 and 7. The unnecessary fulfilments for BKV, Miklós Jenő R. VIII. September 19. transferred a total of 16.548.000,- HUF to F.F.V.D. LP. be received by F.F.V.D. LP. use of their name will recieve 8% of the taking amount. 2008, January 8. transferred 11,000,000-HUF to F.F.V.D. LP. In all three cases, contracts were made solely because László M. XII. accused spouse of Éva M-H.
at a loss in terms of BKV and was unnecessary and superfluous expenditure constituted. Éva M-H. VI. accused at the request of Deputy Chief Technology Officer Zsolt József B. IV. accused instructed Tibor Tamás Z. IX. accused as the manager of PR department, to enter into contracts with Vision Consulting Ltd. in 2008 , January 1. on No. 14/K-26/2008., in which the company has undertaken "Vision-VIP" in electronic form and to be sent daily, weekly and monthly an analysis of a political-economic report. The provided service of Vision Consulting Ltd. was unnecessary and did not benefit BKV. The company's executives didn't even read the incoming emails. The unnecessary service and unjustified fulfillment, and the payment of invoices Tamás Tibor Z. IX. accused confirmed by the certificate of completion and by the signed certified payroll sheets. During 2008 BKV has paid twelve times invoices containing of 300,000 HUF +VAT, a total of 3,600,000-HUF +VAT, all together 4,320,000-HUF. In the summer of 2008, Éva M-H. VI. accused in the presence of Miklós Jenő R. VIII. accused instructed Zsolt József B. IV. accused, who was then the trustee CEO, that an invitation tender process begin on the topic about season tickets of expectant mothers and mothers with small children, in the amount of 8-10 million HUF to be made for a promotional film with Smsystem Ltd.
Zsolt József B. IV. accused and Miklós Jenő R. VIII. accused acting in accordance with the instructions given the order to Smsystem Ltd. of the making of BKV expectant mothers pass the promotional film in the value of 7.950.000-HUF +VAT. The No. 14/V-313/2008. has been signed by Head of Department of Communications Tibor Tamás Z. IX.accused, also together with trustee CEO Zsolt B. IV. accused confirmed the payment. Zsolt József B. IV. accused instructed the 2008, August 26 to receive the invoice No. P0000112 an extraordinary payment of the amount of 9, 540, 000-HUF in 2008, September 1. The film has not been used. cooperation agreement concluded a contract with ICG Infora Consulting Group Ltd. for BKV Co.
program for 800,000, - HUF + VAT. Miklós Jenő R. VIII. accused and Tibor Tamás Z. IX. accused in 2008, August 19. registered No.16/330/2008., otherwise without a cooperation agreement concluded a contract with ICG Infora Consulting Group Ltd. for BKV Co. executive development programs and operations of executive coaching. The scope of the contract within the time of signature spread until 2009, June 30. The remuneration of executive coaching is 40.000, - HUF + VAT / hour, 1 day program for organizing 600.000, - HUF + VAT, 1.5-day program for 800,000, - HUF + VAT. The coaching was really claimed by Attila A. III. accused and took advantage with the assistance of an old friend of his, Imre S., who has been an employee of the Ltd. The III. accused with the contract provided that the company requested service was to be paid by BKV, as well as other programs which did not become conspicuous by covering the requested service. ICG Infora Consulting Group Ltd. issued a gross total of 7,176,000, - HUF invoice, and on the dates of 2007, February 16. and 2008, December 15 the amount has been paid. well as the monthly 30 hours worked overtime 40.000, - HUF + VAT commission fee was fixed. 2007, May 7 and 2008, January 21.
of BKV, to conclude a contract with Siteflex Ltd. for a "new website design." Miklós Jenő R. VIII. 4,000,000 - HUF VAT and 800.0, - HUF VAT invoices can be paid and fulfilled. a) Miklós Jenő R. VIII. accused and Ágnes V. X. accused in 2007, May 30. concluded a contract No. campaign for 1,500,000-HUF + VAT, namely a 1,800,000-HUF fee. The unnecessary service and undue fulfilment - which has not been utilized in any way as a result in the company - in both cases confirmed by Miklós Jenő R- VIII. accused, has been paid in 2007, July 5 and 2007, November 15. By request Miklós Jenő R. VIII. accused, Ágnes V. X. accused concluded a corporate agreement with BÁL-NA Produkció Ltd. 2007, June 11. No. 22/550/2007., in accordance to the contract the duration from 2007, June 29. until September 15., the contractor employees - who holds a travel pass with a photo - get a 30% discount of the entry fee to Gárdony "Sport Beach", as well as for the "Retro Festival 2007" in 2007, July 7 employees (+1) have free entry. As a return, BKV has agreed to contribute with the amount of 500.000-HUF + VAT to the event held in 2007, July 7., as well as a direct appearance in the METRO newspaper Budapest edition, during the contract period placement of flyers about Sport Beach in subway trains, and provide a direct link on www.bkv.hu website. The contract was approved subsequently in 2007, June 22. by Attila A. III. accused. The unnecessary fulfilment and payment of the invoice was confirmed by Ágnes V. X. accused, of the amount of 600,000-HUF, and it has been paid in 2007, September 1.
notification of Attila A. III. accused, in 2007, June 20. concluded a contract No. 63/V-40/2007. total of 21,200,000, - HUF + VAT. The fulfilment was confirmed by Miklós Jenő R. VIII. accused, Ágnes V. X. accused and Tibor Tamás Z. IX. accused - who also were aware that the studies can not be used in the company - on the date of 2007, July 6th 19, 080,000-HUF +VAT and in 2007, November 12. 2,120,000-HUF +VAT all together the amount of 22,440,000 HUF has been paid out. The studies were unnecessary for BKV, and were not used. manufacture for a total of 3,779,000, - HUF + VAT. The fulfilment of - in the case of the high costs of the unnecessary rummy cards stipulated in the contract - invoices were approved by Ágnes V. X. accused that on the basis of 5,560,718, - HUF of the phase incoming invoices between 2008, February 4 and May 8. has been paid in eight installments. service for 14,984,000-HUF + VAT. Marionett Ltd. solved the distribution with a contract with Magyar Posta Co. a total of 3.417.177- HUF + VAT, which was not paid. The No. AN7L-A 135475 invoice, dated on 19th October, 2007 was verified on the payroll sheet signed by Ágnes V. X. accused, and in 2007, December 19 a total of 17,980,800, - HUF was paid. Marionett Ltd. contributions were unnecessary because the postal distribution of BKV could have done it directly themselves, and therefore caused a financial loss of 14,563,623 -HUF. financially to the PC. 's welfare activities. Miklós jenő R. VIII. accused and Tibor Tamás Z. IX. accused - for the known unnecessary service - in 2007, June 7 No. 203/317/2007 concluded a corporation contract with invitations to tender in press applications to carry out on a monthly basis, for the public who uses individual transport to switch to public transportation for a monthly 510,000 per month, - HUF + VAT. Between 2007, June and 2009, April, for payments and invoices the payroll sheets were signed one time by Miklós Jenő R. VIII. accused, and Tibor Tamás Z. IX. accused who confirmed and signed 21 times the unnecessary service for a total of 13,464,000-,HUF. invoices in 2007, July 26 was approved by signing the payroll sheet by Ágnes V. X. accused. there was no work done. according to the modified contract rose to 99 million + VAT. The technical handover procedure in 2007, 30th of November was conducted, however, the effective date of the test run is not completed even to this day. Zsolt József B. IV. accused, having failed this - despite the verbal and in sms threats of the Ltd. - didn't want to sign the certificate of completion. In 2007 late November - early December, Miklós H. I. accused summoned Zsolt József B. IV. accused, and instructed him to arrange the payment before Christmas. Zsolt József B. IV. accused confirmed the fulfilment of payments by signing the payroll sheet in 2007 December 6th and 10th. Thus the invoice No. CCS000086/2007 issued by C.C. Soft Ltd. of 59.4 million HUF + VAT in 2007 December 13., while the No. CCS000101/2007 invoice of 39.6 million HUF + VAT in 2008, February 12 has been paid. Therefore it caused a 18,800,000 HUF financial loss to BKV Co.
operation online news alert called „Naprakész” (Up to date) for a monthly 504,000 HUF + VAT. To conclude the contract was requested by Ferenc O. the Project Manager of DBR Metró, and Deputy CEO at BKV, but Attila A. III. accused didn't want to fulfill it, because he saw no need for such a contract. Then Ernő M. II. accused gave instruction to conclude the contract, for which Attila A. III. accused did not dare to disobey, as with Dr. Ferenc O., with Dr. Gábor D and with Ernő M. II. accused who was known to have a good relationship, and they suggested him to get his job and his position. The unreasonable fulfillment - having knowledge of it - Tibor Tamás Z. IX. accused has been certified and authorized the payment of invoices, for a total of 3,024,000, - HUF that was paid. Miklós Jenő R. VIII. accused, who was aware of the circumstances of the previous contract - in 2008 January - does not contain the exact date - extended the contract No. 14/K.-28/2008. also for 504,000-,HUF +VAT. Completion certificates and the payment of invoices in this instance, Tibor Tamás Z. IX. accused authorized, which based on the termination of the contract by June 2008 that 2,419,200 -HUF has been paid. With the unnecessary contract, it caused a 5,443,200 HUF financial loss to BKV Co.
Community Transport". The undertaking fee was defined of 15,760,000, - HUF + VAT. Under this contract, the contractor for each phase - verified by the customer - after completing it was entitled to issue an invoice, delivery schedule defined in this section. Section 1-3's completion deadline was 2008, February 29., section 4th deadline was 2008, October 31. The transfer of documents and studies in phases -2008, February 29, and 2008, October 31. - was determined. Of the first phase the fulfillment of serial number D098961-AC7S invoice was submitted in 2007, November 12., a value of 1,800,000, - HUF + VAT (2,160,000, - HUF). The payment of the invoice and fulfillment was confirmed by Tibor Tamás Z. IX. accused, and in 2007, December 7, the bank transfer took place. The fulfillment of phase 2-3, serial number D098977-AC7S invoice has been received in 2008, March 5., and its financial settlement took place in 2008, April 29 of 11,880,000 HUF + VAT, namely 14,256,000 HUF. The fulfillment and payments of invoices has been confirmed also by Tibor Tamás Z. IX. accused. 1-3. fulfillment phase, according to the contract - in two parts - a total of 13.680.000, - HUF + VAT for a total of 16,632,000, - HUF will be invoiced and paid. For the optional section 4 delivery, billing and financial settlement has not been made. entitled for a fee of 200,000-HUF + VAT/ month. The unnecessary activity contract for BKV, in the year of 2007: 4,320,000 HUF, in 2008: 17,976,000-HUF, a total of 22,296,000, - HUF paid to Anova LP. In 2007 August 18. the No. 162/322/2009 agency contract has been modified. Which - unlike the previous conditions - the customer BKV impose additional duties also to be carried out and determined. 17) A member of the H. Cabinet - individual remained unknown - addressed towards Miklós Jenő R.
organization of XII. District MSZP led by Miklós H. I. accused. The contract in 2007, October 1st No. 14/K-l59/2007. for indefinite period CEO Attila A. III. accused concluded with the silent partner of DAM LP. Zsuzsanna M.K. XIII. accused. Subject of the contract was a study about the children and the youth towards corporate communication, namely a campaign against youth bilk, for a monthly 250.000, - HUF + VAT. The contract until the day of cancellation from BKV. 2009, June 15., with the compliance verification of Tibor Tamás Z. IX. accused, 4,750,000, - HUF + VAT, a total of 5.7 million HUF has been paid. For the service BKV had no need, and had not used it. referred to the possibility of supporting the company. Miklós Jenő R. VIII. accused, then created a fictitious job for the company, and accordingly prepared the contract. Attila A. III. accused, in 2007, October 8. on No. 14/K-68/2007 concluded an agency contract with Soda Advertising Consulting Ltd., in reference to a study of the small underground positioning into a luxury Metro, for 7500000, -HUF + VAT. Trustee CEO Zsolt József B. IV. accused, the preparation of Miklós jenő R. VIII. accused, 2008, April 1 concluded a second contract with the Ltd. for a study to be prepared to popularize the chairlift, the cable car and cog railway, for another 7.5 million, - HUF + VAT. The completion certificates were signed by Miklós jenő R. VIII. accused, Ágnes V. X. accused and another who is not participating in the criminal offense, Péter Prím, which in two installments (2007, december 20 and 2008, May 26.) a total of 18,000,000, - HUF was paid. The studies point of BKV had no value, their quality level was not suitable for any use. 19) Miklós Jenő R. VIII. accused, the initiative of Attila A. III. accused, in 2007, October 17.
caused a financial loss for BKV a total of 1,468,320 HUF. employee contract with him to fill the position. According to the agreement, to the contractor BKV paid 8,129,827 gross, - HUF. The total amount in three installments (2007, November 16, 2008, January 7, and 2008, February 14.) the affordability of the incoming invoices, confirmed by András K. not involved int he criminal offence, and for the unnecessary and unreasonable service for BKV, in three parts, in 2007, November 24., 2008 , January 15 and in March 4. has been paid. analytical work for him was to be carried out by AAM Co.
Attila A. III. accused for this purpose in 2007 January 24. the amount of 50 million HUF framework contract with AAM Co. for the "Metro4 use this to support the functions project coordination, project management, project administration tasks, as well as quality assurance activities". The company with a short deadline, within eight days had performed the work, which had been used by Miklós H. I. accused during his activities as Deputy Mayor. For BKV the unnecessary services rendered a total of 50,093,400, - HUF in which BKV was compensated. From the 5.997.600,-HUF dated in 2007, March 5., from the 5.995.800,-HUF dated in March 6., from the 19.665.000,- HUF dated in April 12., from the 8.913.000,-HUF dated in May 3., and from the 9.522.000,- HUF dated in June 6., the issued invoices have been paid between 2007, April 5th and July 5th. II./ The Metro Line 4 investment project-related tasks in support of experts. 375.000, 000, - HUF + VAT amount or price of the calendar year the12th month were concluded by the end of the month, the five-year allocation would have been a total of 2.5 billion HUF. In the case of contract No. I. the first time Attila A. III. accused implemented, while in other cases Zsolt József B. IV. accused confirmed the fulfillment, while in the case of contract II. Árpád B. who was not involved int he crime, signed. For the unnecessary contracts by József Zsolt B IV. accused, until the termination of the contract in 2008, April 22., a total of 133,521,600-HUF has been paid to AAM Co.
Dr. Iván Miklós H. VII. accused, as a contracted lawyer of BKV, taking advantage of his relation with Miklós H. I. accused - also provided as personal and business legal representative - persuaded CEO Attila A. III. accused, that in 2007, February 1. enter into an unnecessary contract with Optimismo Ltd. to evaluate the photocopiers technical condition. Dr. Iván Miklós H. VII. accused, towards Attila A. III. accused, justified the need for the transaction, that in this way the Mayor's office intends to finance the former CEO unofficial "severance". Optimismo Ltd. at the conclusion of the contract at the time did not work, did not have any employees, and economic activity was not carried out. Despite this, Tünde B. XV. accused, the owner-manager of Optimismo Ltd. was signing the contract with BKV Co., and then signed a completion report of the fictional work. The false certificate of completion Dr. Iván Miklós H. VII. accused, signed it by Attila A. III. accused. Based on the fake certificate of completion and the issued invoice by Tünde B. XV. accused, in 2007, March 19. transferred 19.200.000,-HUF to Optimismo Ltd. Tünde B. XV. accused, at the same day withdrew 18.100.000,- HUF cash, and with that possessed with unknown manner. Ernő M. II. accused, despite the loss function of BKV Co., instructed the asset management company's liability managers, to breach their obligation of asset management, to conclude a contract with PQS-Plural Ltd. for cleaning work, which was relevant that the company itself was not able to carry out the work. Therefore, the PQS-Plural Ltd. representative persuaded Renomé Ltd. who was performing this activity for a long time at BKV Co. to enter into a consortium contract. So on the instruction of Ernő M. II. accused, -earlier the cleaning activities were carried out by several companies - after conducting a public tender in 2008, December 22 the PQS-Plural Ltd. and Renomé Ltd. consortium took over. As a result, the BKV underground utility and open areas, stadiums and office buildings, as well as the cleaning of the traffic center in Szabó Ervin sqare, the cleaning costs compared to the earlier date of 2008, December 22. realized an economically unreasonable higher pricing. Attila A. III. accused, during his operation as the CEO was aware of the procurement process resulting unreasonable pricing background. Despite this without affecting the conduct of the procurement process, the result of market-oriented development, from the distorted result, for CEO signature in order to withdraw the contract has not made the necessary arrangements. Attila A. III. accused, during his operation as the CEO, the prepared contract has not been signed because of illness and his departure.. Zsolt József B. IV. accused, as the incoming new CEO was also aware of the circumstances of the preparation of the contract, therefore, to sign the contract, he regularly postponed, however openly he did not dare to oppose with the will of Ernő M. II. accused, and the destruction of the contract, the necessary measures in order to have the new invite tenders, did not do so. Zsolt József B. IV. accused, has not informed Dr. István Kocsis about the background of the contract, who followed him as the next CEO, so he signed the contract after taking office, in the knowledge that the formally correct procurement procedure, the contract against the legal, financial and branch leaders raised no objection. Of the above mentioned instruction of Ernő M. II. accused, with the assistance of Attila A. III. accused and Zsolt József B. IV. accused, a consortium signed a contract for cleaning services with a substantial unreasonable higher price for performing, and BKV Co. incurred a 746,443,200, - HUF financial loss. Miklós Jenő R. VIII. accused as a sales and communication Deputy CEO, and Tibor Tamás Z. IX. accused manager, in violation of the obligation of asset management, based on fictitious time sheets ( in which the signatures originated from at least twelve persons) signed them as a leader, and certified payroll forwarded contributed in -being aware of that at BKV Co. was employed, but from 2008, January 1st, actually was not working - for Éva M.-H. VI. accused, until 2009, September 30. Salary, bonus and other benefit payments had been authorized. Éva M.-H. VI. accused, - by taking the allocated amounts - at BKV her fictitious employment of more than 24,629,817, - HUF financial loss incurred. Miklós Jenő R. VIII. accused, charged a total of 10,520,565, - HUF, while Éva M.-H. VI. accused, acting as the direct supervisor, worked by supporting all along Tibor Tamás Z. IX. accused, charged 24.629.817-HUF pecuniary disadvantages attributed. Miklós H. I. accused, as the Municipality of Budapest Property and Asset Management and Deputy Mayor, abusing his official position, in 2008, March instructed Zsolt József B. IV. accused, as well as the trustee CEO of BKV, to give him 15 million HUF/year. Underlying his claim Miklós H. I. accused, envisaged that if Zsolt József B. IV. accused does not transfer the requested amount, that he will discredit him for the improperly issued certificate of completion with C.C. Soft Ltd. in 2007 December, which was instructed by Miklós H. I. accused. Miklós H. I. accused, of this threat, and it is continuously certified violent, assertive behavior, fears Zsolt József B. IV. accused, who as a result, unfair advantage in allocated in 2008 and 2009 15-15.000.000 -HUF to Miklós H. I. accused. At BKV Co. after the date of 2007, January, completion of the organizational restructuring of the executive management's position was that the various management levels of the employment contracts will be standardized. Thus were born the so-called management contracts, which the Chief Deputies, Directors and their Deputies have concluded contracts and other leaders, the head of department, including the head of departments. Terms of content, the dismissal of the management contract, the amount of allowances much higher, not only within the law, but by the content of collective agreements than permitted, as well as open-ended fixed term employment relationships being changed. András K. Head of the Secretariat of the CEO's employment was from 2007, January 5. until 2008 November 18., termination of employment - having regard to the nature of the short period - could not have any benefits. Before leaving the company, Attila A. III. accused, in 2008, January updated his work contract included a 10 months severance pay, and 100 days exemption time. The agreement of the elimination of the employment by mutual agreement was signed by Zsolt József B. IV. accused, acting as trustee CEO. András K. under the agreement with Attila A. III. accused, with the 10 months average salary, 14.262.647,- HUF unlawful allowance, left BKV. Sándor F. Presidential Senior Adviser employment was from 2008, May 3. until 2009 June 8., termination of employment - having regard to the nature of the short period - could not have any benefits. Zsolt József B. IV. accused, as trustee CEO, in 2008 May 8. updated his work contract including a 12 months severance pay, 4 months of confidentiality money, and 100 days notice period. The agreement of the elimination of the employment by mutual agreement was signed by Dr. István Kocsis as CEO. who halved the previous bargaining agreement compensation with Sándor F. based on the agreement, left BKV with the 6 months average salary, 50 days of discharge time, and 2 months of confidentiality money a total unlawful allowance of 36.132.900,- HUF. Róbert N. e-ticketing project manager employment was from 2007, April 16. until 2008, June 18., termination of employment - having regard to the nature of the short period - could not have any benefits. The employment contract does not contain any point of severance, under the agreement with Attila A. III. accused, he is entitled for the 10 months average salary and 3 months of confidentiality money. The agreement of the elimination of the employment by mutual agreement was signed by Zsolt József B. IV. accused, and upon the agreement he left BKV with 13 months average salary, a total of 25,125,660, - HUF unlawful allowance. Norbert T. deputy CFO's employment was from 2007, March 12. until 2008, July 18., termination of employment - having regard to the nature of the short period - could not have any benefits. Attila A. III. accused, in 2007, July 31. updated his work contract including a 7 months severance pay, and 3 months of confidentiality money. The agreement of the elimination of the employment by mutual agreement was signed by Zsolt József B. IV. accused, acting as trustee CEO. Norbert T. under the agreement, left BKV with 10 months average salary, a total of 29.353.100,- HUF unlawful allowance. 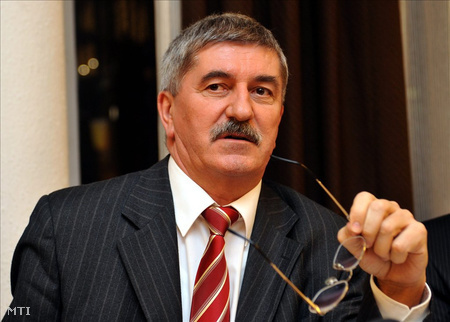 László G. deputy Project Director of DBR Metro, employment from 1997, August 1. until 2008, April 10. the date of termination of employment of an appropriate 3-month average salary severance payments he would have had. The agreement of the elimination of the employment by mutual agreement was signed by Attila A. III. accused as the CEO, and left BKV with 17 months average salary, and 100 days exemption time. From the amount was paid, 25.127.077,- HUF which was an unlawful allowance, but was entitled to 3,725,100, -HUF. Zoltán D. Chief Technical Officer's employment from 1988, September 30. until 2007, December 31. existed. Attila A. III. accused, in 2007, July 31. updated his work contract including a 14 months severance pay, 4 months of confidentiality money and 100 days exemption time. The agreement of the elimination of the employment by mutual agreement was signed Attila A. III. accused as the CEO. Under the agreement, he left the company with 14 months of severance pay, and 4 months equal to average earnings a total of 72,731,753, - HUF. The set 9.684.774,-HUF for the 100 days of exemption time could not be given to Zoltán D, because the contract does not contain such a title, so this was an undue benefit. The persons named in the above-mentioned had manager contracts with such dismissal "very favorable" conditions had the opportunity to leave BKV, the company is unjustified with additional expenditure and was due to disadvantages. With these acts Attila A. III. accused, 103.553.258,- HUF, while Zsolt József B. IV. accused, 6.132.900,- HUF damages were caused for BKV. Dr. Eleonóra Sz. XIV. accused HR director of BKV, entered into an agreement with CEO Attila A. III. accused, in 2008, January 24, to terminate her employment with a mutual agreement in 2008, December 31. She did this so that the period of notice was recorded in this agreement 2008, March 31, but before the start of 2008 March 25. - in 2008 March 20. a claim based on the right of an early retirement pension, prior to establishment of - other subject to authorization reward by virtue of 16,434,704, - HUF, while by virtue of severance 69.847.492,- HUF, a total of 86,282,196, - HUF was to be paid. The Central Hungarian Pension Insurance Directorate dated in 2008, March 27. with the decision No. 11- 06997/2008/0011, from the date of 2007, December 6. Dr. Eleonóra Sz. XIV. accused, early retirement pension rights were determined. Given that the Labour Code of 1992. Act XXII. Law § 95 (2) of the basic Regulation after 2008, March 27. Dr. Eleonóra Sz. XIV. accused, could not have redundancy, so - paying particular attention that until 2009, July 27. she was employed with the same position at BKV- concluded that the employment terminate by mutual agreement, the agreement for the purpose of deceiving BKV, payment of the above amounts had to be qualified. Ottó Viktor L. V. accused, permanently registered with the residence in Budapest, 1182 Gyergyó st. 27. on the first floor, living area used only by him, held 1 piece of 12/76, 2 pieces of 12/70 caliber firearms for hunting Magnum 10, and Nike Type of ammo, which he had previously been taken during a hunt. The arms and ammunition of the 2004th XXIV. tv. § 3 (1) c) of a total of 3 pieces shotguns ammo ammunition deemed it necessary to obtain and maintain licenses, which the defendants did not have. The ammunition of the investigative authority of the 2010, March 4th that was held for a house search were found and seized. amount of financial loss caused for BKV Co, which were not recovered. The Criminal Code. § 276-costing conflict private offense of forgery as accessories in the I / B cp.). On the conduct of legal proceedings. 16th § (1), e) and On. 17th Of § (1) of the Municipal Tribunal has the power and jurisdiction. General Prosecutor's Office has the power and jurisdiction. Dr. Eleonóra Sz., Éva M.-H., Miklós H., Attila A., Miklós Jenő R., Zsolt József B., Tibor Tamás Z., Ágnes V., Ernő M. and Dr. Iván Miklós H. accused individual's assets are subject to coercive measures.